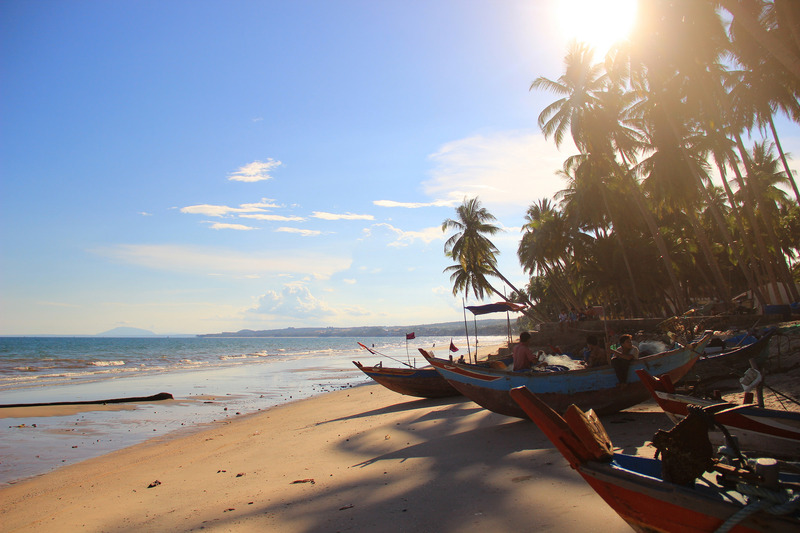 Fully Discover Mui Ne in Two Days! 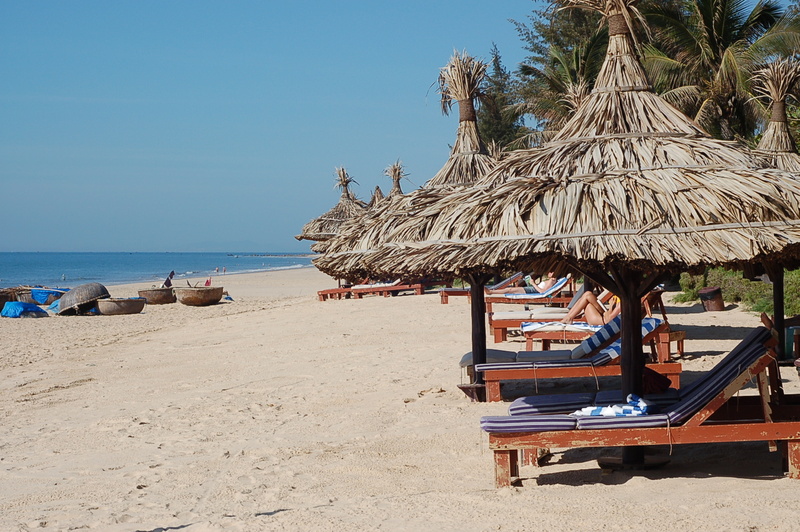 Thanks to the generally hot and humid weather of Vietnam, summer is always in the air in Mui Ne. Why should you pack up and head straight to this tiny yet marvellous city for a weekend beach escape? Mui Ne is a coastal city in the central region of Vietnam. This majestic destination has everything to be considered a paradise on earth: a crystal-clear ocean with far-stretching pristine beaches, a mini desert full of silky red and white sand dunes, a cuisine emphasizing various types of seafood, then comes the friendly locals, together with a peaceful daytime routine and dazzling energetic nightlife. In this article, I will craft an itinerary for the best experience possible covering two whole days in Mui Ne, do-it-yourself style! 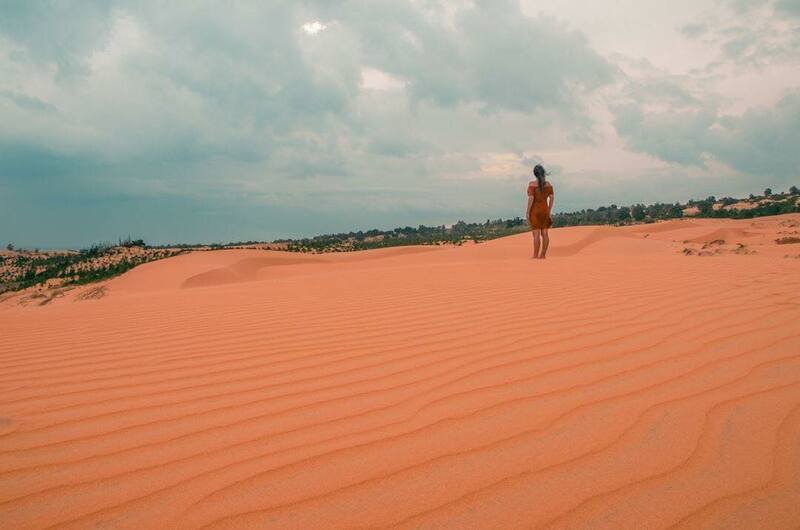 Mui Ne was once considered one of the poor wards of Phan Thiet city because of its remote location and the unusual presence of a desert in the middle of the town. But those old days have long gone. It is now one of the most attractive destinations in the south of Vietnam, for locals and foreigners alike. Huge investments have been made into the establishment of tourism facilities, as well as shopping malls and transportation infrastructure. All of this aims to provide excellent services and unforgettable experiences to those who visit the city. Mui Ne is mostly dry and sunny year-round, making it a viable getaway option at any time. I recommend visiting between August and the following April for the best overall weather. If you are really into extreme watersports such as kitesurfing, then the wind is strongest between September and February, together with long and steady waves. Mui Ne is blazing hot from April to August, so if you cannot handle too much heat, you may want to avoid paying the city a visit at this time of the year. 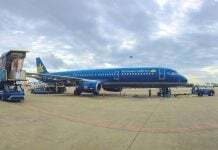 The best way to get to Mui Ne is from Ho Chi Minh City (so-called Saigon) and there are a lot of options for you to choose from: car, bus, train, or even motorbike. Each vehicle gives you different experiences concerning comfort, price. and views along the way. We have a detailed guide about getting from Ho Chi Minh City to Mui Ne to help you out with that. While you’re at it, here is a list of recommended accommodations, for every budget, at your service. 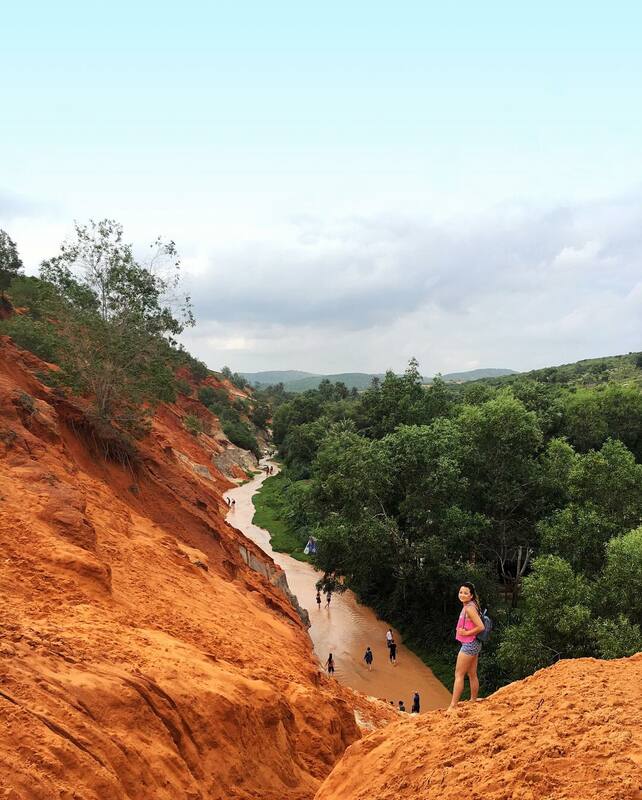 Mui Ne is a hidden gem full of surprises. A visitor can easily come across a random uncharted beautiful landscape or discover a not-yet-popular nice local bar on a less-traversed street. 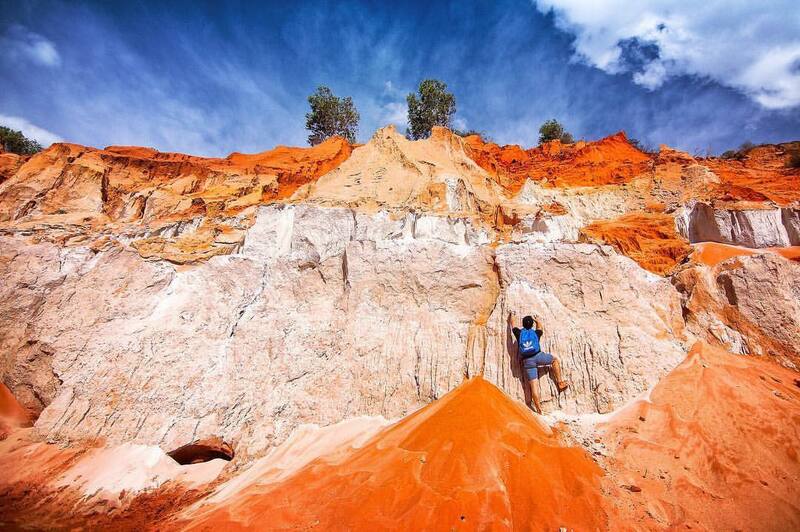 One day is surely never enough to truly explore Mui Ne, so you should plan for a longer stay. If you do not have much time and still want to enjoy the destination at its best, two whole days with my hands-on guide will suffice. To begin with, I recommend getting there either a night before or in the early morning, with your accommodation already sorted out, so you can start unhurried and hassle-free. 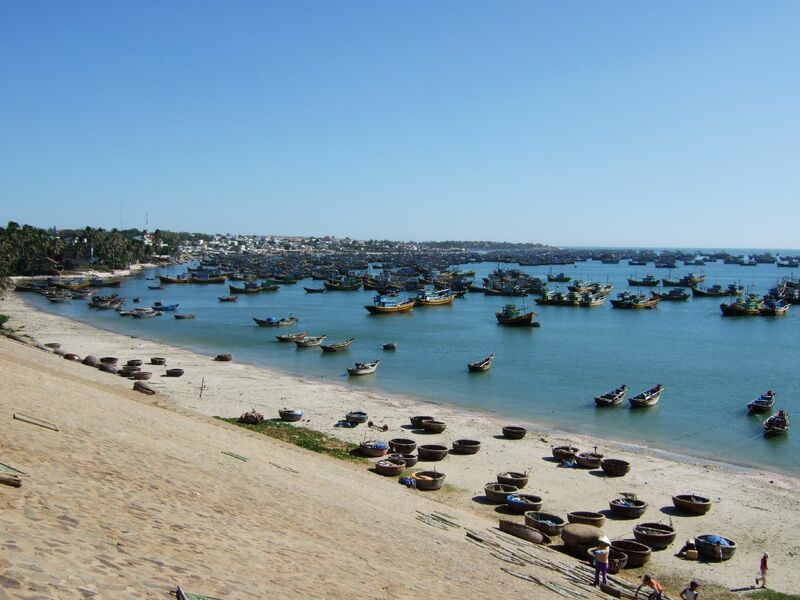 Fishing villages have always been the signature of every seaside city in Vietnam, and Mui Ne is no exception. Same as others, the fishing village by the beach of Mui Ne is most remarkable if you visit at the crack of dawn. Fishermen come back after a long night out, rewarding their families and selling to people the freshest seafood at the beach and the morning market. You will then find yourself immersed in a such hectic and vivid atmosphere with all the talking, buying, selling, and other local activities. I consider one of the most important aspects of traveling to be interacting with the locals. 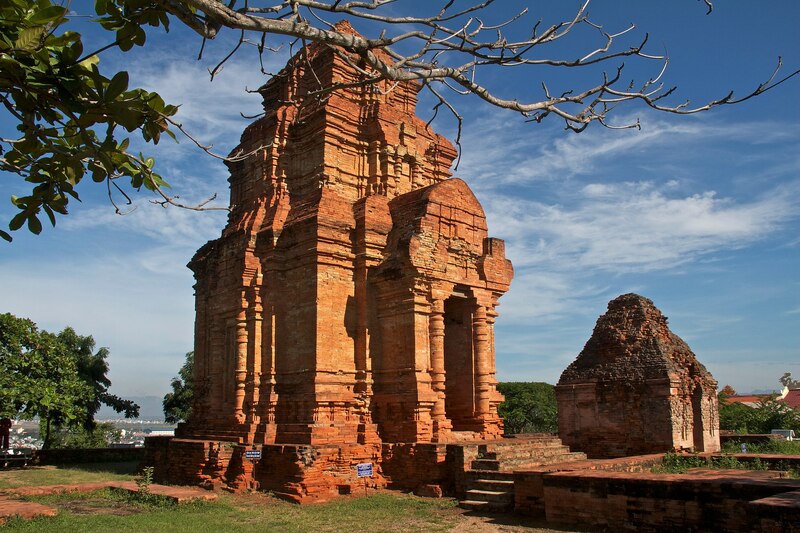 Located in the western part of Mui Ne, the Po Sha Inu Towers are one of the rare remaining Cham towers in Vietnam. These towers were built around the eighth century by the ethnic Cham people, as a worshipping place to the God Shiva of Hinduism. This area is not that readily accessible via the main highway but pretty easy to get to with Google Maps instructions. A little adventure awaits! The sand dunes in Mui Ne are inhabited by a type of reptile called the iguana, or dong in Vietnamese. This species is similar to a lizard, but bigger and longer in size. Moreover, dong are wild animals, so locals appreciate its meat for being organic and gamey. 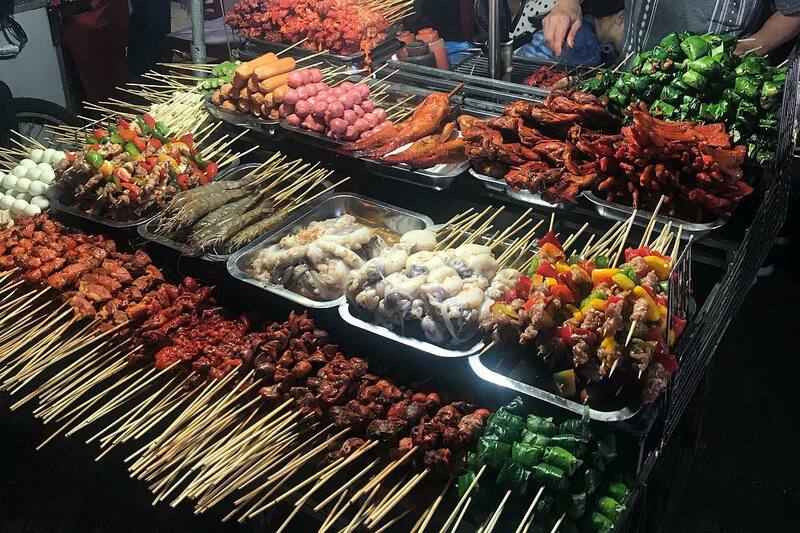 There are up to seven ways to cook dong: grilled, steamed, fried, roasted, raw, cooked in porridge, baked in pie, and all served with vegetables on the side. Dong dishes will usually be presented in a full seven-courses so that you can have a tasting session to tell the differences between the methods. Be open-minded, just let yourself try something new and dong will not disappoint you! The Fairy Stream is another must-see sight of your two-day trip. You can reach this destination with bicycles borrowed from your accommodation hosts. Hop on your bike for about ten minutes while following the Google Maps instructions, park at the café nearby, and you will get to explore this little Vietnamese version of the Grand Canyon. The limestone formations along the walking path as well as the waterfall at the end are going to be a perfect location for your next Instagram pictures or family portraits in Vietnam. Pro tip: If you really want to capture the best waterfall scene, avoid the rainy season. Otherwise, the unique limestone area alone is already well worth the journey. 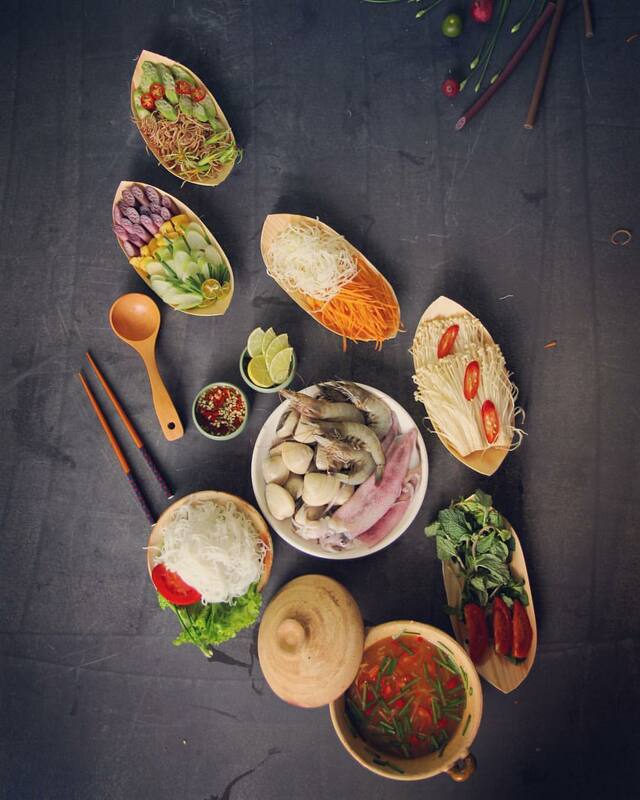 Let me introduce to you the Tha hotpot (Lau tha) – the signature dish of Mui Ne. It consists of deep herring (ca mai), boiled pork side (thit ba chi), scrambled eggs, fried rice paper (banh da), vermicelli (bun), star fruit, and vegetables all poached in a rich broth. What differs Tha hotpot from other hotpot styles in Vietnam is that all the ingredients are wrapped in red banana flower petals. The purpose is to let the guests get a bit creative, designing their own dish by arranging the ingredients of choice into their own bowl, pouring the boiling soup over it, and then enjoying their creations. Your experience in Mui Ne will not be completed without a visit to the most popular Dragon Beach Bar. The vibrant and fun-loving atmosphere of the club comes from the mixed presence of locals, expats, and tourists. The partying zone includes a spacious dancefloor and adding to the package, a whole swimming pool in the very center. A chique LA-style party is ready for you! The bar plays mainly deep house and electro tunes during weekdays. A DJ will be present on the weekends, mixing and playing custom and funky music of all styles. There is professional pole dancing and fire dancing shows scheduled on weekends as well, so prepare to check them out in advance if you do not want to miss those iconic performances. After calling it a day, I suppose that your body should be depleted of energy after all these energetic activities. You should enjoy everything at a slower pace the next day, with several hours on the beach. I highly encourage you to visit this natural wonder in the early morning (if you are a morning person- 5 AM) of the second day for the best experience. In fact, the sand dunes in this area is literally one of its kind in the whole lush and mountainous Vietnam. The dunes get full with tourists but if you arrive early and spot a quiet space, you can have some privacy. There are two types of dunes here: white sand dunes and red sand dunes. Visitors often try to climb on top of the dunes, then hire a mini sand sliding board (which is around 60 VND=2 USD/hour) to enjoy a splendid slide downhill. Should you grab one of these also? The best way to explore this little desert without too much effort is by a special vehicle called quad bikes. 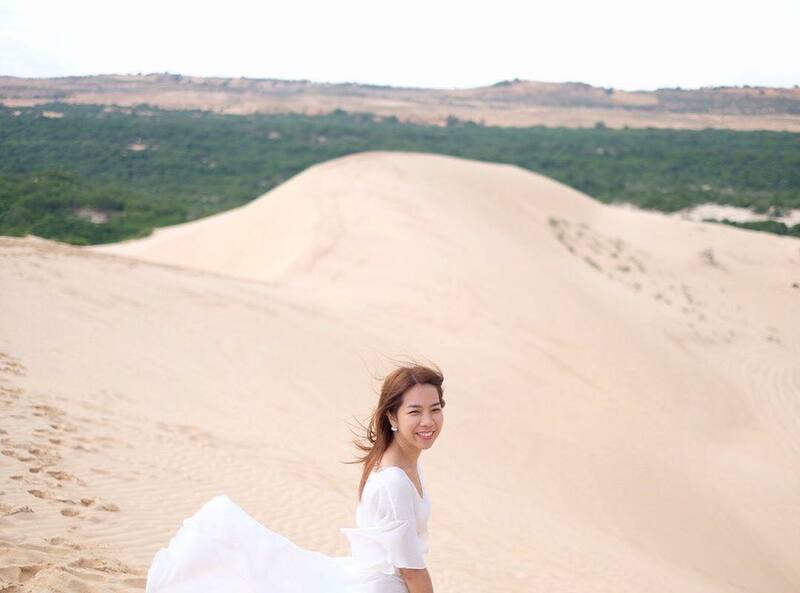 You can easily ride on top of the dunes to enjoy the wind blowing through your hair and the panoramic view of gorgeous nature. A fancier way to view the dunes is to watch them from above. Yes, I am talking about floating up in the sky, in a hot air balloon, looking down on the sand hill. But not just the sand dunes will be within your sight, but also the deep blue ocean will have your attention, as well as the tiny city. Enjoy the ride with a glass of champagne and fresh salty ocean air as the Vietnam landscape comes into acute focus. You should check this website of Vietnam Balloons for more information. If you hang around the sand dunes, you will probably stumble upon those vendors selling one of the most popular Mui Ne’s street treats – Banh quai vac. It is a kind of steamed dumpling filled with pork and shrimp, garnished in a box with chopped spring onions and fried pork fat, served with sweet and sour fish sauce. A rich yet elegant breakfast is awaiting. This dish is available in street vendors and in luxury restaurants. But for the most authentic experience, I recommend trying Banh guai vac from the wandering vendors in the sand dune area. The infamous Jibe’s Beach Club is going to fulfill your dream vacation on the last day with its own private sandy shore. A stylish venue with Vietnamese architecture, comfy sofas overlooking the ocean, beautiful drinks and mouth-watering dishes, is what you can expect. What could be better for a day relaxing by the beach? 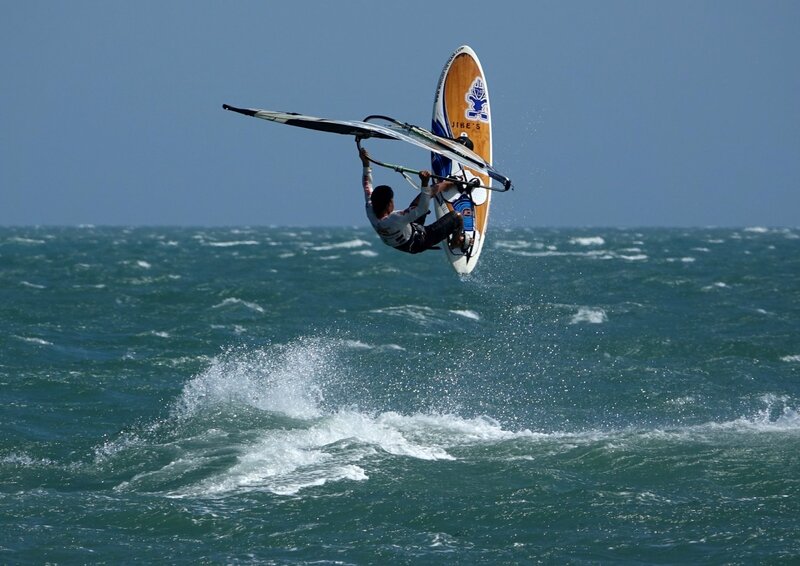 Moreover, they also provide on-the-spot watersports such as windsurfing, paddle boards, kitesurfing, and even sailing. Maybe you haven’t heard, but one of the best kitesurfing locations in Asia is in Mui Ne, why not give it a try? And remember, the most suitable time for that is from September to February! You have visited most of Mui Ne’s remarkable natural sights by now, but a vast scene of local cuisine remains undiscovered. After spending a whole day at the beach, the street food of Mui Ne should be next. The local dishes here are mainly prepared with fresh seafood and a sophisticated cooking process, but the salty air that comes to play creates unique, unrivaled flavors. 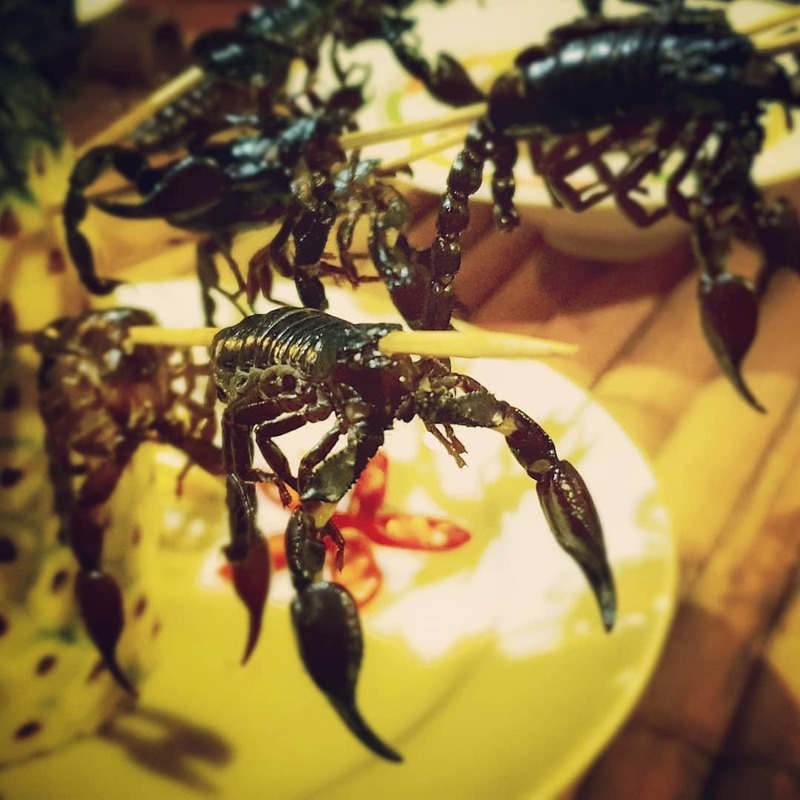 The iguana and the hotpot are some fine examples of this unique cuisine. 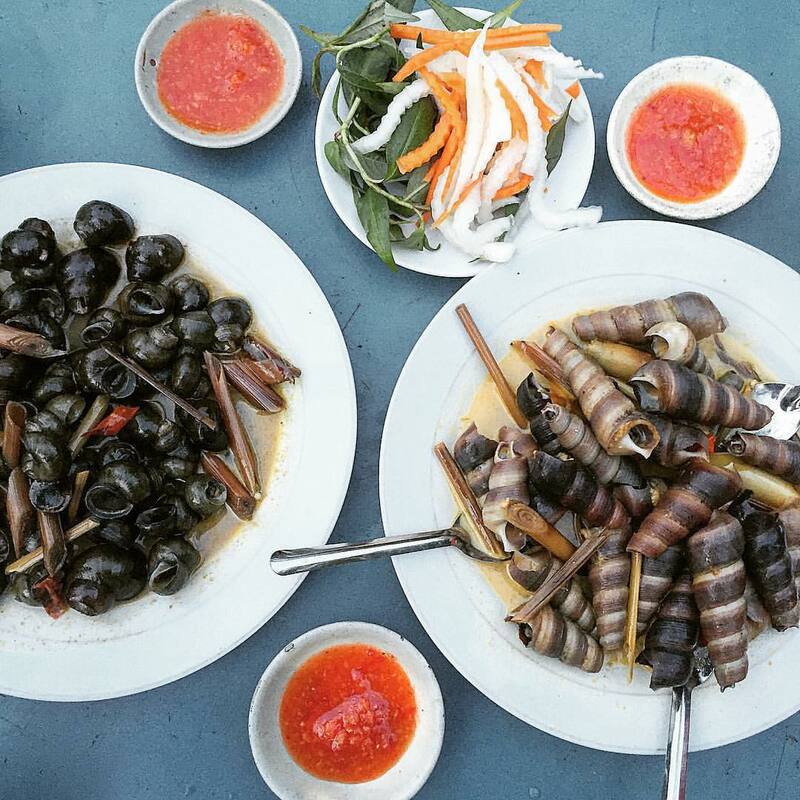 But there are still a lot of other dishes that require an audience with your taste buds, and Tien’s detailed Mui Ne food article will help you with that. This bar will definitely end your trip with a memorable experience! Come and see the wildest selection of exotic snacks and house special drinks. This place has drinks that are not widely available anywhere else, such as scorpion, crocodile, ostrich, and more. But this is not the point. Déjà Vu is on the list because of its mesmerizing and unforgettable night shows, reflecting the beauty of the Vietnamese culture through creative, thrilling performances. 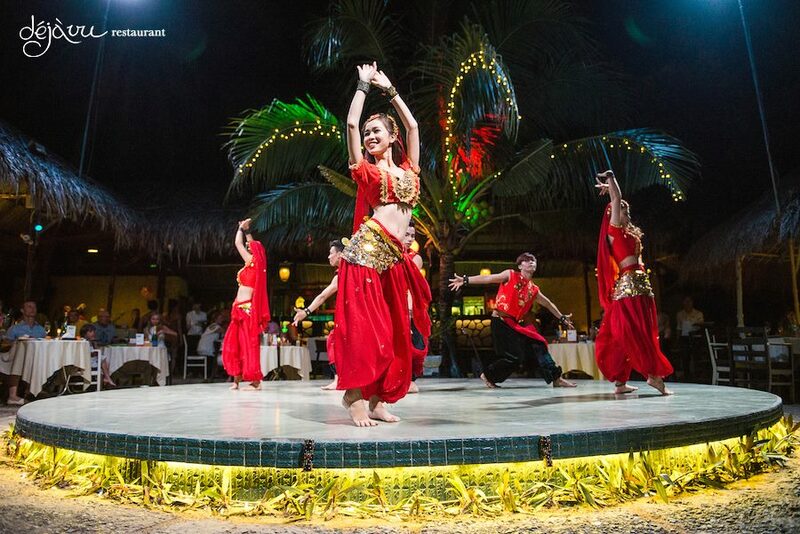 Think of the fire dance, fashion show, martial art stunts and more exciting eye candy! 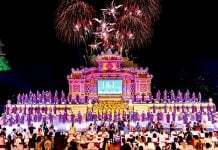 The best shows of all are performed on Vietnamese Night, every Wednesday, and reservation in advance is needed for the smoothest last night out in Mui Ne. One Week in Ho Chi Minh – All About What You Should Do! 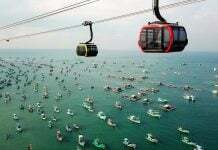 Have Only One Day in Nha Trang? Here’s a Great Itinerary!